Sometimes an ornate, artistic fireplace screen is appropriate, but other times you want a simple unit that does the job without drawing attention to itself. This model is for those times, and fits smaller fireplaces. 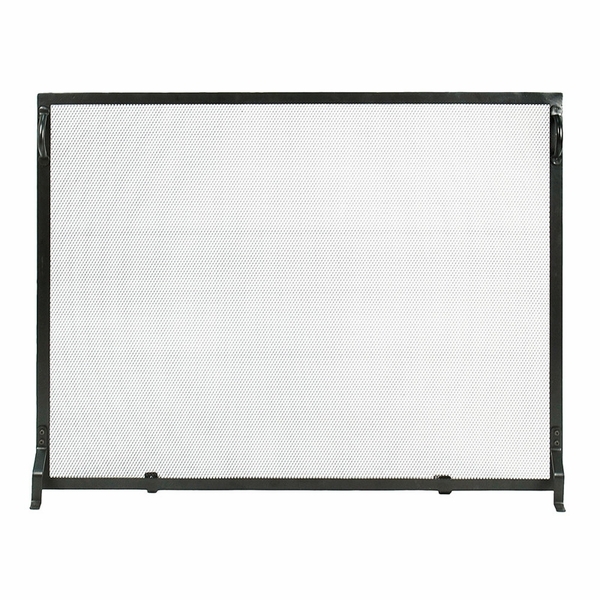 The entire screen measures 38 inches across and 30 inches high, and its high quality construction makes it ideal even for outdoor fireplaces. 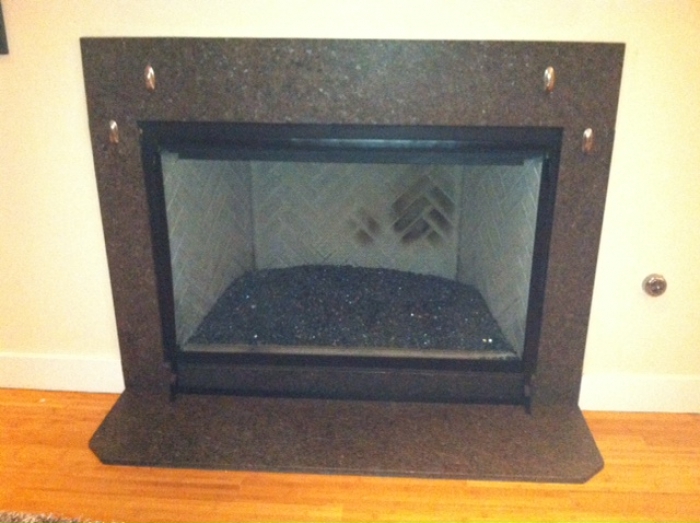 The black powder coating keeps the screen and frame bright and new-looking while preventing damaging embers from popping out of the hearth and onto your flooring material. And its flat, thin profile allows you to move it close to the fireplace, saving space on small hearths. What is the screen material? Is it woven or expanded? Purchased this for our son/daughter-in-law's home which had a HUGE open hearth gas fireplace with fire glass crystals which made the fireplace an "attractive nuisance" for their toddler. The screen fits perfectly and "disappears into the fireplace. Clean, modern and just perfect in every way. The website described the screen to a 'T', purchasing was easy, and delivery was fast (screen arrived before promised). ConsPrice was a steep, (but in the end it fit like a 'custom' screen).